pinning her arms and legs while you kissed her, quick, on the lips. until finally letting out a disgusted sigh: This one’s too much trouble. two tall fir trees shivered in the breeze, whispering, laughing. 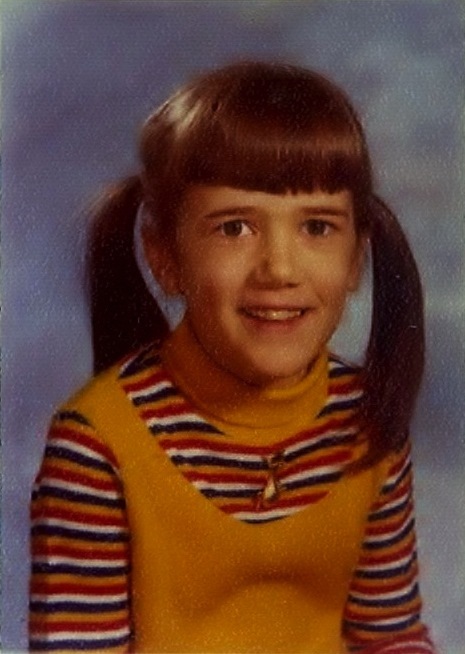 PHOTOGRAPH: The author with crooked pigtails in her second grade school photograph.